Though the Constitution was ratified in 1788, its impact on our lives is as recent as today's news. 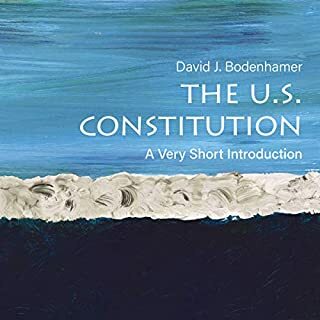 Informed by the latest scholarship and exploring the major themes that have shaped American constitutional history: federalism, the balance of powers, property, representation, equality, rights, and security, this book places constitutional history within the context of American political and social history. As our nation's circumstances have changed, so has our Constitution. 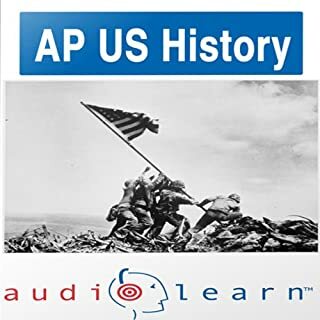 A complete review for the AP US History Test. Use this manual to follow along with our Audio review. Key Topics: The Civil War, The Great Depression, World War II, The Cold War, The Vietnam War, and much, much more! With its convenient format, AudioLearn fits your busy lifestyle, enabling you to study anywhere, anytime. Best of all, you'll significantly increase learning and retention with AudioLearn's proven study format. 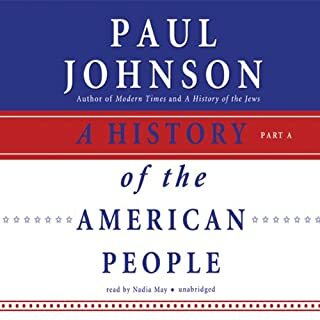 Johnson's monumental history of the United States, from the first settlers to the Clinton administration, covers every aspect of American culture: politics, business, art, literature, science, society and customs, complex traditions, and religious beliefs. The story is told in terms of the men and women who shaped and led the nation and the ordinary people who collectively created its unique character. A British conservative's view of American history. 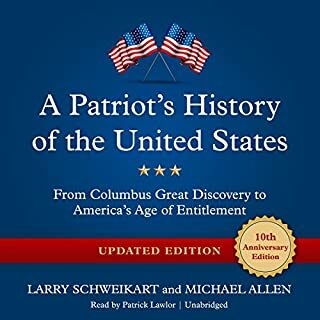 Offering an abbreviated, accessible, and lively narrative history of the United States, this erudite volume contains the essential facts about the discovery, settlement, growth, and development of the American nation and its institutions. 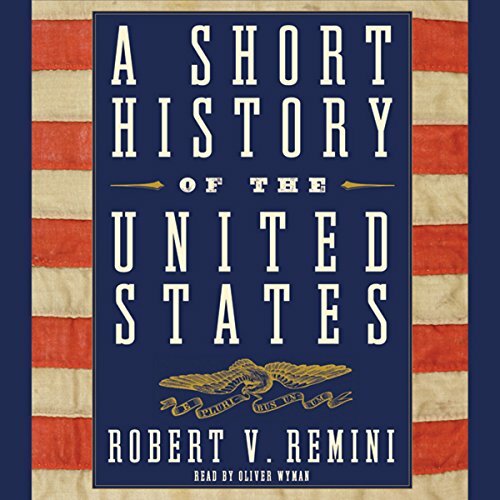 Robert V. Remini explores the arrival and migration of Native Americans; the discovery of the New World by Europeans and the establishment of colonies; the causes of the American Revolution; the founding of a republic under the Constitution; the struggle over slavery, which led to the Civil War; Reconstruction and the rise of big business; the emergence of the United States as a world power; the descent into the Great Depression; the global conflicts of the 20th century; and the outbreak of terrorism here and abroad. In addition, Remini explains the reasons for the nation's unique and enduring strengths, its artistic and cultural accomplishments, its genius in developing new products to sell to the world, and its abiding commitment to individual freedoms. This was an excellent listen. I have an hour long commute, and was actually looking forward to the trip because I had more listening to do. 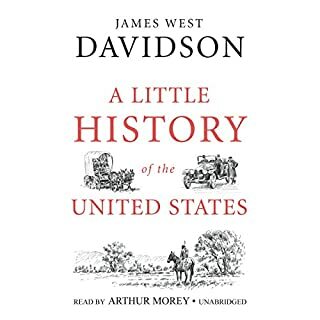 This book started at US Pre-History, but very quickly progressed into the politics of the US, and typically stayed in a "political" theme. Almost every single US presidential administrations were briefly, and some not-so-briefly were visited. I would recommend this book to someone who appreciates a good nonfiction book, and has a good block of time available. My one critical point: I wished there were more "sections." The audible player (my Windows Mobile 6.1 device) only showed 7 sections, so if you loose your place, and don't book-mark, you will jump back too far if you go back to the previous section. I wish the Producer created a new section for every chapter. The audio book was not complete it would skip over paragraphs so i found myself searching for the paragraph they were reading. I thought that the content of this book was o.k. Maybe a little heavy on the details and dates, but that information might be valuable to other readers. I had to quit listening to this because the narration is irritating. The narration is so rushed that it is difficult to listen to for over 5 minutes. This book started out really great. I felt I was learning and being reminded of some great facts from the past. Then I got to more recent history that I lived through and found that the content was very slanted. This causes me to doubt the things that I learned, making it impossible for me to recommend this book to others. Also, this book ends before the recession of 2007. The story is read rather enthusiastically which is nice for historical things. However I had the feeling that I am missing part. It seems that it is written from a specific political view point and not an unbiased historical view point. Taking this in consideration it is still an entertaining listen. Can anyone recommend the other viewpoint so I can get the story complete? he'll surely love our newest president, Barak Obama and his spending spree. As someone once said, "When you find yourself in a hole, don't keep digging". 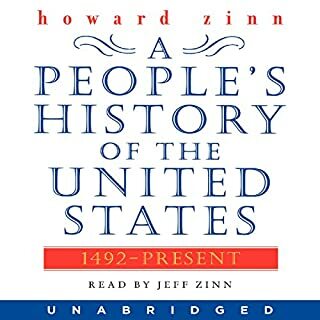 I enjoyed listening to this book but it was not particularly satisfying. There are many "gaps" and the title is therefore accurate. I suppose, it is an interesting entry to this fascinating story.